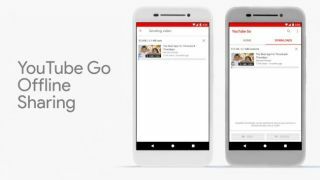 YouTube Go, an official Android app designed to minimize data usage, is now available in 130 countries. The app launched in India last year, and is designed for people in locations with poor-quality or very expensive mobile data connectivity. Users can either watch a whole video in the app, or download it to their device or an SD card at a quality setting of their choice. Downloaded videos can be shared between devices offline using Bluetooth and Wi-Fi Direct. The focus is still on countries with less-than-ideal data infrastructure, and YouTube Go is now available to download from the Google Play Store in countries including Indonesia, Nigeria and Thailand. There are no plans to launch it in countries with more established and affordable mobile internet, including the US, UK and Australia. YouTube Go is designed to work with Android Go – a version of the mobile operating system optimized for low-end smartphones. Android Go features versions of popular apps redesigned to minimize demands on storage space, processing power and data usage.